Some people may know who Gene Hoffman is. For those that happen across this site without prior knowledge, I include below my standard Bio blurb from websites of companies of which I am a Board Member. Gene Hoffman, Jr., is co-founder and Chairman and Chief Executive Officer of Vindicia. Prior to Vindicia, he was co-founder, President, Chief Executive Officer, and a Director of EMusic from January 1998 to June 2002. Recognized by the San Francisco Business Times with the "40 under 40 Emerging Leaders Award" in 2012, Gene has deep experience with building companies that disrupt markets. 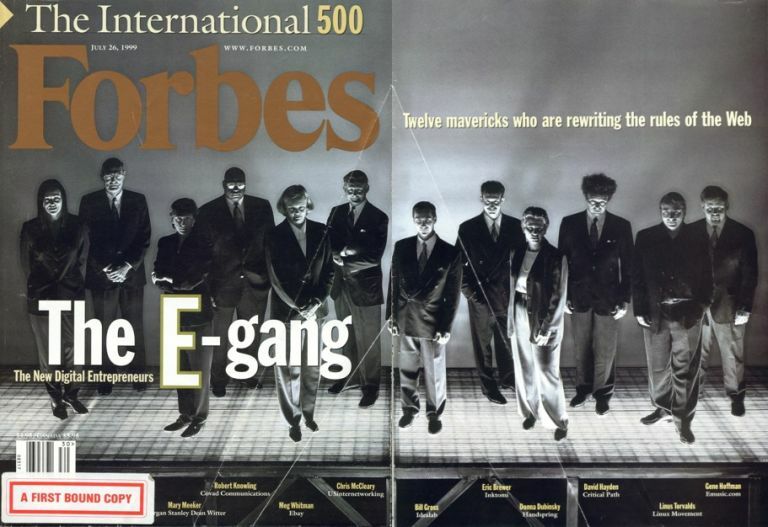 As head of EMusic, Mr. Hoffman was a highly visible advocate for the distribution of music on the Internet having been featured on the cover of Forbes Magazine as a member of the July 1999 E-Gang, and named one of the 100 most influential entrepreneurs in technology in Upside Magazine's November 2000 Elite 100. Mr. Hoffman testified before Congress multiple times about the future of the Internet Economy and Internet Music Distribution. Mr. Hoffman led the acquisition of EMusic by Vivendi/Universal in June 2001. Prior to EMusic, Mr. Hoffman was Director of Business Development and Director of Interactive Marketing of Pretty Good Privacy. Mr. Hoffman joined Pretty Good Privacy after it acquired PrivNet, Inc., an Internet privacy software company, where he was co-founder, Director, and Executive Vice President. Hoffman holds a patent for his work with HTTP stream interception technology. He was also the youngest NASDAQ CEO in history. He attended the University of North Carolina, Chapel Hill where he was a staff member of the men's collegiate basketball program under Dean Smith and Bill Guthridge. Mr. Hoffman also serves on various boards, as co-founder and Chairman of The Calguns Foundation, a trustee of The Second Amendment Foundation. Mr. Hoffman was named Gun Rights Defender of the Year for 2010 by the Citizens Committee for the Right to Keep and Bear Arms. You can contact me at hoffmang at hoffmang dot com or follow @hoffmang on Twitter.